Contender’s 24 Sport fulfills the need for a small center console that has tremendous fishability with features and options that allow for more family activities. 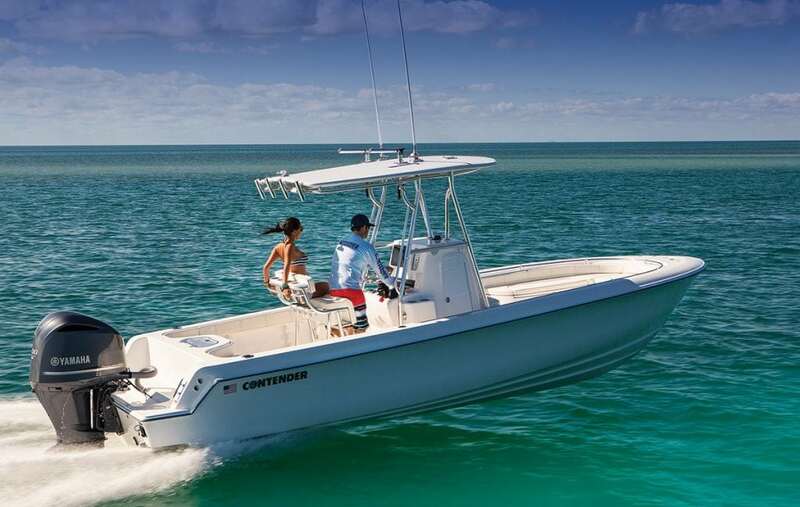 Built at the Contender factory in Homestead, Florida, the 24 Sport measures 24 feet, 6 inches long and not only comes standard with forward and aft seating, but also has a step-down side-entry console with an optional head. For anglers, there’s a 26-gallon transom livewell, four large fish boxes, and plenty of insulated storage. The 24 Sport is the smallest boat in the Contender line that tops out at the 40 Express.